for Atari Falcon 030, 14 Mb. Feel the power of the standard 16 Mhz falcon! but it runs better on an RGB monitor. 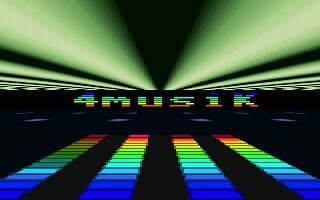 with music, as they do on PC or Amiga. So now, after two months of work, here it is! This demo is 100% 68030 assembler code + DSP code. The module replay routine uses both the 68030 & DSP code. - The DSP code uses automodified code to reduce the size. have been removed for memory optimisation. I used PackFire 1.2k by hitchhikr/Neural to compress. (music patterns, samples definition, code & datas). It reminded me of FM synthesis, but less complicated.